John James Audubon was born on the island of San Domingue, now known as Haiti. His father was French and his biological mother a Creole chambermaid. His natural mother died shortly after childbirth. His father moved a young Jean James and another half sister to Nantes. France. As a child, his interest in drawing was supported by his father’s legitimate wife back in France. She adopted her husband’s children as if they were her own. Here he truly discovered his passion for painting and drawing. In 1803, in an effort to avoid being conscripted into Napoleon’s army, Audubon’s father sent him to America to manage the family estate(Mill Grove) near Philadelphia. There he spent much time observing birds and making the first American bird-banding experiments. 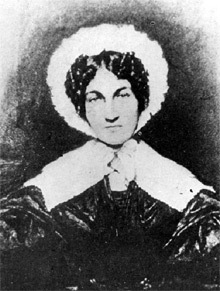 By 1808, he married Lucy Bakewell – a neighbor of Mill Grove-whose encouragement and support were important factors in the eventual success of Audubon’s art. He originally decided to go into business, opening a general store in Henderson, Kentucky. The store eventually went bankrupt, at least partially to blame was Audubon’s lack of business savvy. Audubon’s talent for drawing birds in was to soon become an amazing life’s work. In an effort to study migratory birds, he traveled the Mississippi River by boat in 1820. This trip would eventually inspire many of the Audubon prints found in Birds of America. The Mississippi Valley was a paradise for Audubon – with vast swamps and marshlands. John James Audubon made his way through the very difficult terrain aiming to learn everything he could about the wild turkey, great white heron, Canada goose, and other marsh birds. He read natural history texts, spied on birds from his hiding places, hunted and trapped species, tried domesticating those he caught, and even picked up rudiments of the taxidermist’s craft. From Mississippi, Audubon moved to New Orleans where he painted portraits for a living and taught drawing for a time. The city became his base of operations for the series of bird drawings and watercolors he was preparing for publication. Since no American printer could properly handle the fine work, Audubon went to the British Isles to seek a printing house. In Edinburgh, the Scottish engraver, W. H. Lizars, agreed to produce the very first plates for the book. Unfortunately, after completing only ten plates, Lizars’s colorists went on strike, forcing Audubon to continue his quest. In 1830, Audubon’s dream finally found fruition with Robert Havell Jr., a skilled London engraver who reproduced Audubon’s watercolors on copper plates. These engravings were hand-colored and published in a double elephant folio titled, The Birds of America. The accompanying text, called the Ornithological Biography, was prepared largely in Edinburgh in collaboration with the Scottish naturalist William MacGillivray, who was responsible for its more scientific information.Subsequent volumes of ornithological writings and watercolors, reproduced as lithographs, secured Audubon’s reputation as the premier natural history artist of the nineteenth century. During his latter years, Audubon made his home on the Hudson River in the northern part of Manhattan island. Audubon prints during this period, not only reveal his stylistic qualities, but furnish a glimpse into American frontier life. Audubon also produced a smaller edition of his great work, and began The Viviparous Quadrupeds of North America, which was completed by his sons Victor Gifford Audubon and John Woodhouse Audubon with the help of naturalist John Bachman, after Audubon’s arduous expeditions ruined his health. Audubon died in 1851.